AUSTIN, Texas — A determined Suzanne Koehler (hitting) beat Jennifer Schmitt in the final of the Women’s Classic. Koehler said she was looking forward to the rematch on the same court from two years ago. Everyone got lots of play in the triple drop down. The Men’s Open semis featured current vs. former Collegiate stars with Adam Bernhard facing Max Langmack and Memo Pallares versus Sam Esser. The elders won again as Esser admitted: “We’ve been coming here for four years and trying to beat those guys.” Bernhard held on to his title but not without a tussle. Pallares took the first game and garnered 9 in the tiebreaker. Follow the results at the tournament’s R2sports site HERE. AUSTIN, Texas — The USHA Women’s Classic remains one of the best events to showcase Women’s Handball. Classic participants will have at least three matches in drop-down format, where all players are eventually paired in a bracket of similar skill. The top players advance through the Open bracket where players compete for prize money in the later rounds (top 8 places). Travel money is available for Classic entrants traveling more than 250 miles. The Women’s Classic field of 29 players begins play at Noon on Friday, March 23. The Men’s Open Singles of the Southwest Regionals promises to be one of the most competitive in recent years. Defending champion Adam Bernhard and finalist Memo Pallares make up the top-two seeds. To round out the top-four, they’re joined by Collegiate All-Americans Sam Esser and Max Langmack, who recently came off a great WPH R48Pro Qualifier in Houston. A host of other up-and-coming players are waiting in the wings to make their mark in Austin! 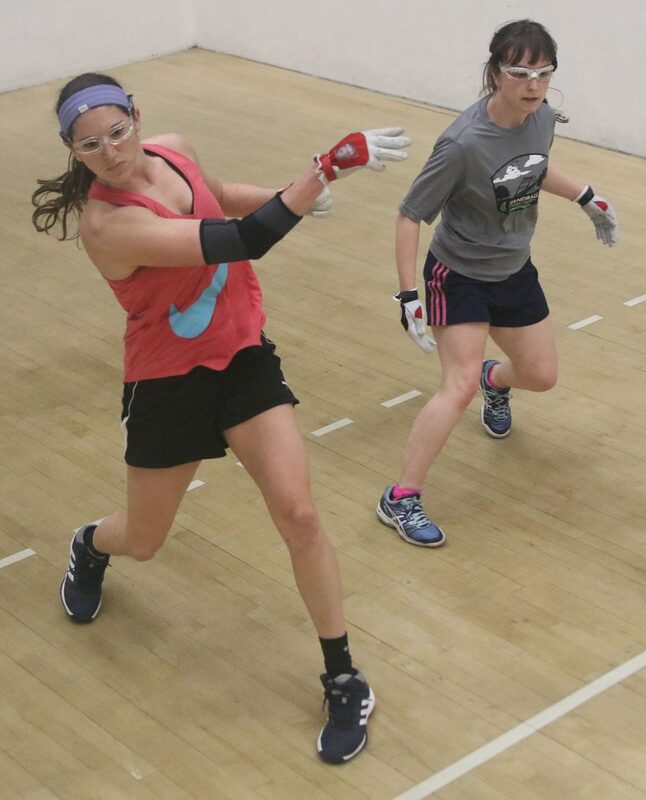 Start times for the Southwest Regional Handball Championships and Women’s Classic are posted. Visit the tournament’s R2sports site HERE.